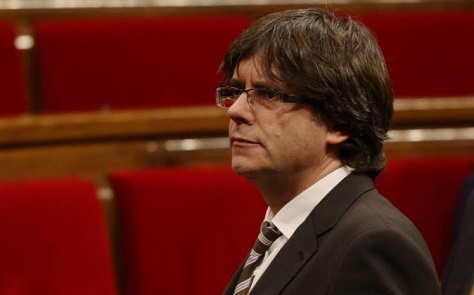 Who is Carles Puigdemont? Catalonia’s new regional president. Ultimately, in the game of chicken between Catalonia’s regional president Artur Mas and the handful of radical left legislators standing in the way of forming a new executive government, it was Mas who blinked, leading the way for another Catalan moderate, Carles Puigdemont, to take the premiership in an 11th hour drama Sunday night. On Sunday, he finally gave in, offering to step aside for the sake of winning a majority for a pan-ideological coalition committed to pushing the region’s independence from Spain within the next 18 months. In so doing, Mas acceded to the Candidatura d’Unitat Popular (CUP, Popular Unity Candidacy), the far-left group that won around 8% of the vote in the most recent September 27 elections that otherwise delivered a strong plurality to the pro-independence front, Junts pel Sí (Together for Yes). 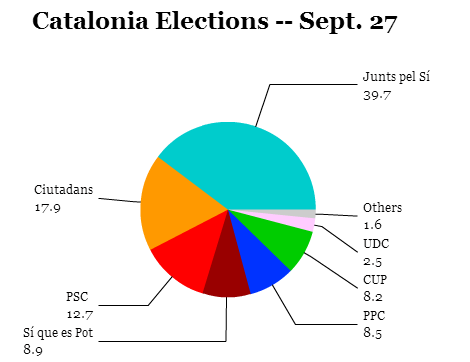 With six seats short of a majority, Junts pel Sí, dominated by two parties, the center-right Convergència Democràtica de Catalunya (CDC, Democratic Convergence of Catalonia) and the center-left Esquerra Republicana de Catalunya (ERC, Republican Left of Catalonia) had agreed prior to the election, along with several other minor parties, that it would be Mas to lead any resulting government. Though the CUP also embraces independence (it also rejects membership in NATO and the European Union), it didn’t formally join the Junts pel Sí coalition. Antonio Baños, the CUP’s leader, steadfastly refused to support Mas’s investiture to form a new Generalitat, the regional executive government, because his party opposes the budget cuts that Mas introduced at the regional level during Spain’s economic crisis and due to longstanding allegations of corruption surrounding CDC governments dating back decades. By stepping down, Mas made it clear that he wasn’t willing to drag Catalans to their fourth election in five years just to cling to power. Mas’s replacement, Puigdemont, is another CDC veteran. Though he comes from the same moderate background as Mas, he has long been among the most outspoken advocates of Catalan independence, unlike Mas. For now, at least, that represents sufficient change for Baños and the CUP to support the independence-driven government. Increasingly, Mas used the pro-independence fervor to maintain his own grip on power, to the point that it forced a split in the CDC’s longtime two-party governing coalition, Convergència i Unió (CiU, Convergence and Union) in a bid to hold onto the premiership. 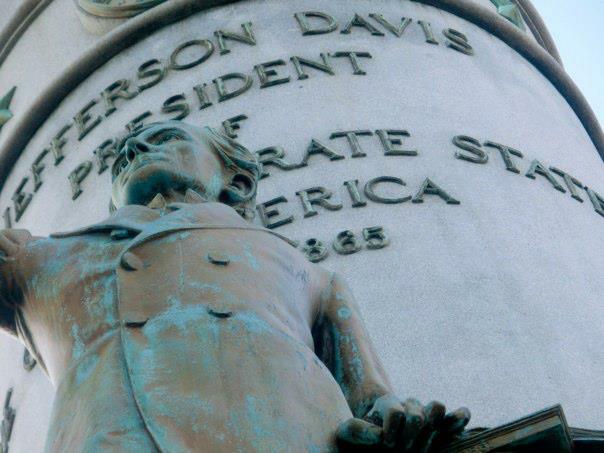 While CiU governed the region consecutively for nearly a quarter-century from the 1980s to the early 2000s, it took a markedly nationalist stand. But, for the most part, it always leaned more toward regional autonomy and not in favor of independence. In the aftermath of a difficult national election that could well lead to fresh elections across all of Spain, Catalonia, the northeastern region with a swelling independence movement, was always set to be the largest puzzle piece that patches together any potential coalition to lead the national government. 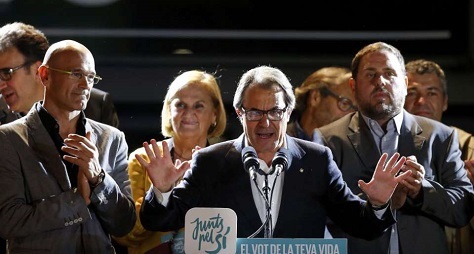 Now the region will take center stage even more fully in Spain’s unfolding political drama, with a high-stakes game of chicken reaching its peak this week between regional president Artur Mas and the left-wing Candidatura d’Unitat Popular (CUP, Popular Unity Candidacy). The pro-independence CUP has refused to lend its support to the larger pro-independence coalition, Junts pel Sí (Together for Yes), the broad, pan-ideological group that won last September’s elections. The CUP’s leaders have for months maintained that they will not — and politically cannot — support Mas, a center-right regional leader who has skillfully attached himself to a sovereigntist movement that’s now dominated by figures on the Catalan left. He’s the ideological heir to a political elite that, under his predecessor, Jordi Pujol (regional president from 1980 to 2003), became synonymous with corruption. Moreover, as regional president since 2010, Mas has introduced tax increases and budget cuts designed to keep the region’s fiscal condition from deteriorating, even as the wider Spanish economy collapsed, taking the Catalan regional economy with it. On Sunday, the CUP — a radical left group that would oppose an independent Catalonia’s membership in either NATO or the European Union — reiterated that it cannot support Mas for regional president and that it will block investiture of Catalonia’s executive government, the Generalitat, forcing new spring elections, so long as Mas is determined to lead it. Indeed, Mas has refused to step aside. If no one budges between now and January 10, Catalonia will hold fresh elections (along, perhaps, with Spain after the fractured result of the December 20 national elections). For Catalans, it would be the fourth regional election in five years. But if there’s one thing that Junts pel Sí doesn’t lack, it’s a deep bench of political leaders, each of whom could easily step in as a regional president far more amenable to the radical CUP and its supporters, thereby forming a truly broad pro-independence front. If Mas doesn’t back away in favor of another of his coalition’s leaders, fresh elections could actually leave Catalonia’s parliament even more divided, potentially setting back the independence movement that he claims to represent. And that should tell you exactly where Mas’s heart lies — in maintaining power at all costs, not seriously advancing an independent Catalonia. There’s no doubt that the pro-independence Junts pel Sí (Together for Yes) coalition won a resounding victory in Sunday’s regional elections in Catalonia. 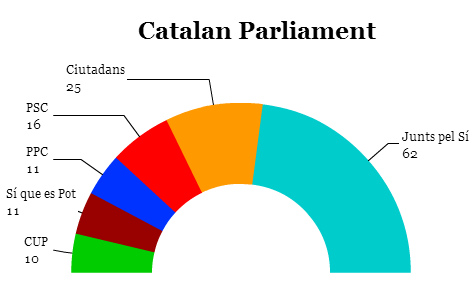 With nearly 40% of the vote, it is by far the largest force in Catalonia’s regional government and with the support of the ardently pro-independence, hard-left Candidatura d’Unitat Popular (CUP, Popular Unity Candidacy), it is likely to form a government that will carry forward the cause of Catalan independence over the next 18 months. For the first time in Catalan history, an explicitly pro-independence coalition, running expressly on the campaign pledge to enact an 18-month process toward declaring independence, will control the Generalitat, the Catalan government. But that’s essentially where the good news ends for Catalonia’s independence movement, which now faces the real prospect of hubris and overreach in the days and weeks ahead. The first difficulty is that, though pro-independence parties now control the Catalan parliament, those parties did not, as a technical matter, win a majority of votes in the election. Pro-independence parties together won around 47.9% of the vote, just shy of an outright majority, depriving the pro-independence camp of an important moral victory in its quest. It’s difficult to claim that your movement commands democratic support when a majority of voters, in an election with nearly 77.5% turnout, supported anti-independence parties. It’s hard to compare the 2015 result against the 2012 result because that’s something of an apples-to-oranges comparison. But in the broadest sense, the parties supporting independence (or at least sympathetic to the cause of Catalan nationalism) won 74 seats in the Catalan parliament. That’s actually two more seats than the pro-independence parties won in the 2015 vote. 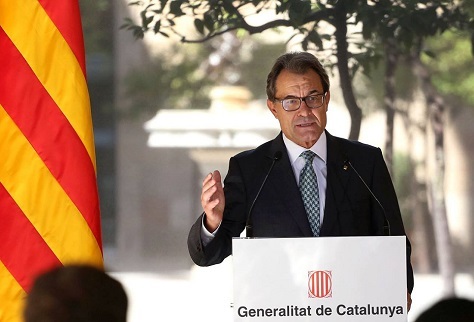 If September 2014 was the month when Scottish independence made global headlines, it might be September 2015 when Catalan independence has its breakthrough — at least if regional president Artur Mas has his way. Barely 10 months after Catalonia’s regional government held a non-binding referendum on independence, and just three months before the Spanish general election, Catalan voters will elect a new regional parliament in a campaign that Mas has been waging for months as a de facto referendum on the region’s future status within — or outside of — Spain. Mas, the presidential candidate of the cross-ideological Junts pel Sí (Together for Yes) coalition, argues that a victory for the pro-independence forces will give him the leverage he needs to demand negotiations with Spain’s central government. Spain’s conservative prime minister Mariano Rajoy, however, has steadfastly refused to discuss autonomy with Mas, let alone an independence referendum. Rajoy contends that any independence process is illegal, and Spain’s constitutional court ruled that last year’s November referendum was illegal. Though Mas backed down and canceled the vote, he nevertheless provoked Madrid by holding a non-binding plebiscite to flex the muscles of the Catalan independence movement. In turn, Rajoy’s refusal to discuss the matter or even permit an in-out referendum has alienated Catalan voters who might not otherwise be enthusiastic about independence. 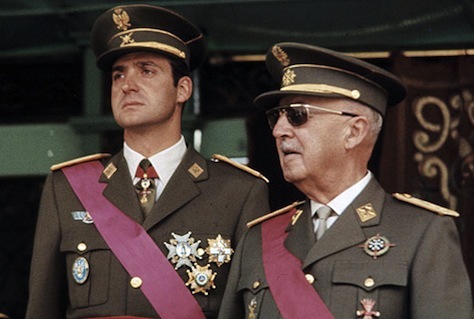 what Juan Carlos did for democracy? At face value, Catalans are merely going to the polls on September 27 to elect the 135 members of the regional parliament. But after the Greek eurozone showdown earlier the summer threatened the eurozone’s stability and split Europe’s north and south, and even as the ongoing refugee crisis is threatening the integrity of the borders-free Schengen zone, splitting Europe’s west and east, the cause of Catalan independence could become the European Union’s next fashionable crisis. Mas promises that if the Catalan electorate gives Junts pel Sí a majority in the Catalan parliament, however narrow, it will be sufficient to launch an 18-month process that will result in the region’s independence and promulgate a new Catalan constitution. Though Sunday’s unofficial referendum on Catalan sovereignty may have been legally murky, it is nonetheless clear that Spanish prime minister Mariano Rajoy’s strategy of ignoring the groundswell of support for regional self-determination and autonomy has been a failure. So what actually happened on Sunday — and where do the Catalan nationalist movement and the Spanish government go from here? Catalans voted in a non-binding, unofficial ‘consultation’ that its Generalitat (or regional government) once hoped would be a legal referendum not unlike the recent September vote on independence in Scotland. But Rajoy has refused to countenance even the idea of negotiating the terms of such a referendum, and he has consistently ruled out any vote as unconstitutional. Nevertheless, Catalunya’s regional president Artur Mas (pictured above) has championed a referendum since at least 2012, and his party and other more radical groups in the Catalan regional parliament overwhelmingly voted to hold the referendum, setting the central and Catalan regional governments on what has been a divisive battle over the past year. Mas backed down on the ‘official’ nature of the referendum, which in any event was always designed to be non-binding, when Spain’s constitutional court ruled that the vote was illegal last month. 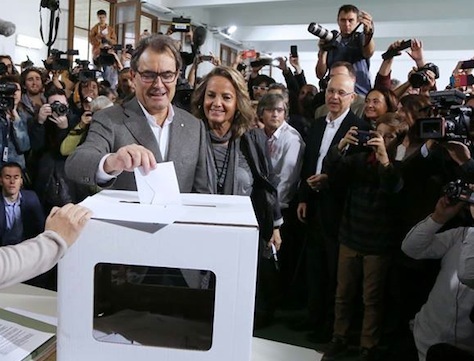 Much to the chagrin of other, more leftist nationalists, however, Mas instead moved forward with an unofficial referendum, taking care not to use official Spanish government resources to conduct the vote. The minister went on to announce that the public prosecutor would evaluate the facts of Sunday’s vote and decide whether or not to begin legal action in the courts. Though the law is squarely on the side of the Spanish government, the Catalans seem to have valid political and moral reasons for demanding at least a voice over their own future. In any event, at least 2.3 million Catalans turned out for the vote, representing around 35% of the total Catalan electorate, nearly all of them were pro-independence voters. The so-called ‘yes-yes’ vote won with around 80.8% of the vote. The so-called ‘yes-no’ vote (i.e., those supporters of a Catalan state, but not necessarily an independent state) won another 10.1%. ‘No’ won just 4.5% of the vote. While that’s skewed in favor of the independence movement, it’s also not insignificant — and it indicates that a large portion of the Catalan people want a legal and valid vote on their status. The longer that Madrid assumes an ostrich position over what’s become a very real sense of grievance among everyday Catalans, the worse the standoff over independence will end. By refusing to discuss the possibility, Rajoy and the central government risk pushing moderate unionists into the arms of the Catalan nationalists. Nevertheless, Sunday’s turnout fell far short of the 3.7 million voters who participated in the most recent November 2012 regional elections, indicating that a substantial number of voters (who presumably aren’t as enthusiastic about independence) didn’t bother to turn out. The two-pronged ballot question demonstrates the kind of too-cute-by-half ambiguity that British prime minister David Cameron refused to entertain when negotiating the Scottish referendum — what, after all, does it mean for Catalunya to be a state if not independent? The most obvious solution to the standoff is a calm, rational conversation between the Mas and Rajoy governments that would result in greater autonomy for Catalunya’s Generalitat with respect to its own finances and spending. Incredibly, however, the two leaders went months earlier this year without even talking. Rajoy, whose center-right Partido Popular (PP, People’s Party) won the November 2011 Spanish general elections, has consistently refused to discuss greater autonomy for Catalunya. In part, this is because Rajoy’s party has fairly little support within Catalunya — the Partit Popular de Catalunya (PPC, People’s Party of Catalonia) is just the fourth-largest bloc in the regional parliament. 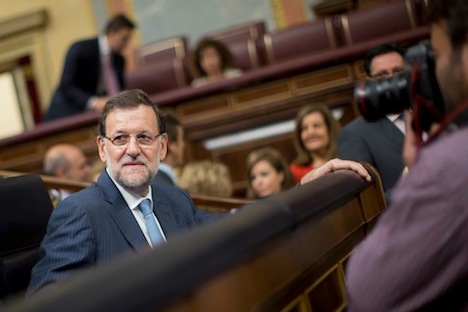 So Rajoy feels little immediate political pain from snubbing the region. When he took office, Rajoy faced the likelihood that Spain would be essentially forced into a European bailout. As it turned out, Rajoy was forced into implementing budget cuts and tax increases to stave off a bailout — in addition to similar austerity measures introduced by his predecessor, José Luis Rodríguez Zapatero, the center-left prime minister whose Partido Socialista Obrero Español (PSOE, Spanish Socialist Workers’ Party) came to power in 2004 at the dawn of the Spanish construction and finance boom. Accordingly, Rajoy has a decent argument for avoiding a full-fledged independence referendum: with a 23.7% unemployment rate as of September, Spain is still in the midst of the worst financial and economic crisis in decades. An independence referendum in Catalunya might credibly be followed by a referendum in the Basque Country/Euskadi, another economic powerhouse with an even more painful history of separatism. Copycat movements could thrive in Galicia and elsewhere. So Rajoy has a reasonably sympathetic argument that a Catalan referendum in the midst of the current crisis could eventually pose an existential threat to the Spanish nation. But that’s not an excuse for ignoring the problem. What’s worse is that the Spanish economic crisis is itself also fueling greater discontent among Catalans, who believe they send far more in revenue to the Spanish central government than they receive back in services and infrastructure. Though the data isn’t entirely clear, the Catalans are essentially correct. It rankles that all high-speed trains in Spain run through Madrid, for example, and that almost all of the country’s international flights arrive at the Madrid airport. 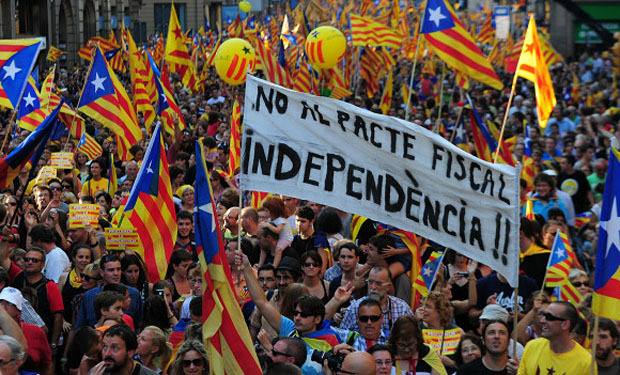 Catalunya, with just 7.5 million of Spain’s 47 million citizens, is responsible for 19% of the economy. The Scottish referendum was also about economics (nationalists believe they can thrive as a smaller, oil-rich country within the European Union) and about politics (like the PP in Catalunya, the Conservatives have relatively little support in Scotland). But the Catalan movement is also colored by additional layers of complexity that Rajoy shows virtually no sign of appreciating — notably decades of suppression of its language and culture by the dictatorship of Francisco Franco. When Rajoy’s education minister, a few years ago, suggested a stronger national program in the Castilian language, it particularly rankled Catalans, many of whom remember the days when the Catalan language was legally banned. But Mas, the leader of the Convergència i Unió (CiU, Convergence and Union), a two-party, center-right nationalist coalition that’s traditionally been the most powerful force in Catalan politics since the return of democracy, is hardly an honest broker. CiU has always been more comfortable with greater autonomy than full independence, and Mas only recently converted to the cause in 2012 following widespread protests. Since taking power in 2010, Mas has made many of the same painful, unpopular budget decisions at the regional level that Rajoy has made at the national level. What’s more, Jordi Pujol, the former CiU leader and Catalan president between 1980 and 2003, has been subject of increasing scrutiny over his personal wealth and corruption accusations. Accordingly, neither Mas nor Rajoy come out of the current showdown from a incredible position of strength. That might not necessarily matter if they could at least find a middle ground to discuss the most sensible solution to the political crisis — constitutional reform, greater regional autonomy and the possible creation of a federalist system in Spain. As elections loom, what comes next? So far, however, the chances of any productive talks between Madrid and Barcelona seem small. 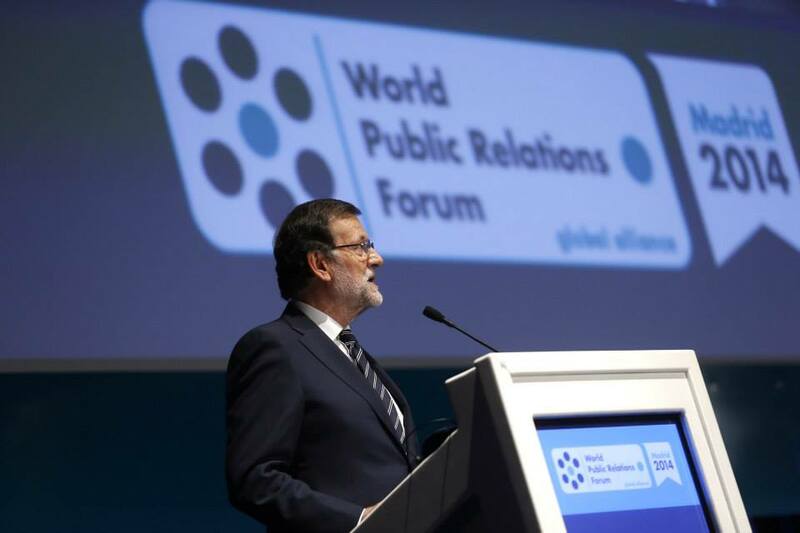 Mas has given Rajoy a two-week deadline to begin negotiations for a formal referendum. Rajoy, however, is almost certainly unlikely to take Mas up on that offer. What happens thereafter is murky, though. Mas’s party, the larger, more moderate and more aggressive Convergència Democràtica de Catalunya (CDC, Democratic Covergence) within the CiU, would like to hold early regional elections, rolling the dice that they would become a de facto referendum on Catalan independence — or at least the right of the Catalan government to call a vote. 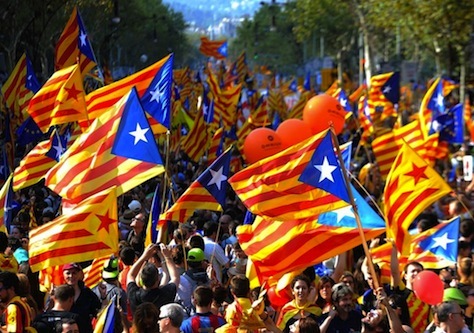 The smaller, Christian democratic Unió Democràtica de Catalunya (UDC, Democratic Union) has always been less enthusiastic about Mas’s push for independence and would prefer to wait on snap elections. Part of the political calculus for Mas, Rajoy and the CiU are polls that show that the most popular party in Catalunya is now the leftist Esquerra Republicana de Catalunya (ERC, Republican Left of Catalonia), an even more radical pro-independence party led by historian Oriol Junqueras. On paper, at least, the PP and the CiU have much more in common than the PP and Esquerra, so both Rajoy and Mas have an incentive to reach some kind of face-saving deal in the next few days. But at the rate Rajoy is going, he may not have the opportunity to negotiate anything in the long run. The rise of the anti-establishment Podemos (‘We can!’), the movement founded earlier this year by professor Pablo Iglesias (pictured above), has scrambled all pretenses of Spain’s two-party system. Winning five of the country’s seats to the European Parliament in May, Podemos wants to reevaluate Spain’s public debt, lower the retirement age to 60 to free up more jobs for younger workers and reverse the austerity of the past two PSOE and PP governments, using government spending to create jobs for a country that still has the highest unemployment within the European Union, despite signs of new growth. A Podemos win would be a significant setback to the orthodox policies that German chancellor Angela Merkel has attempted to establish throughout the eurozone, including the 2011 ‘fiscal compact’ that firmly limits national budget deficits to less than 3% of GDP. Podemos, in a shock Metroscopia poll a couple weeks ago, gained the lead among potential voters in advance of the next Spanish general election, which must be held before December 2015 — it would win 27.7% to just 26.2% for the PSOE, under the leadership of Pedro Sánchez, who won his party’s July leadership contest, and 20.7 for Rajoy’s PP. Sánchez, for his part, opposes Catalan independence, but has indicated much greater willingness to hold discussions with regional leaders over constitutional reform. The local Partit dels Socialistes de Catalunya (PSC-PSOE, Socialists’ Party of Catalonia) controlled the regional government between 2003 and 2010, and many of its members are sympathetic to the idea that Catalans should have the right to self-determination. 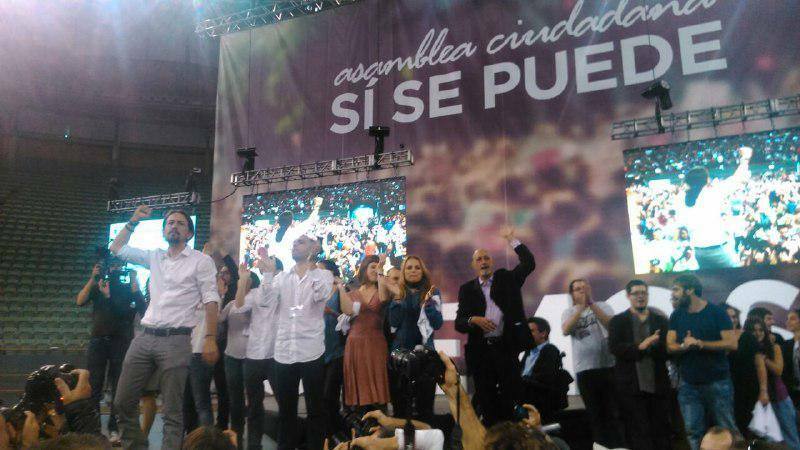 Though Podemos is widely viewed as a leftist alternative, it has attracted widespread support from many Spaniards who have lost faith in both major parties, especially among young voters who face the worst job prospects, and the indignados, the unemployed protestors who have given voice to the harsh effects of what are now a half-decade of austerity policies. Ironically, Podemos has attracted little support within Catalunya, where voters have a nationalist (and leftist) alternative in Esquerra. But as Spain nears the one-year mark until its elections, with the November 9 referendum now in the rear-view mirror, the brinksmanship between Rajoy and Mas won’t matter if they can’t find a path toward reconciliation. 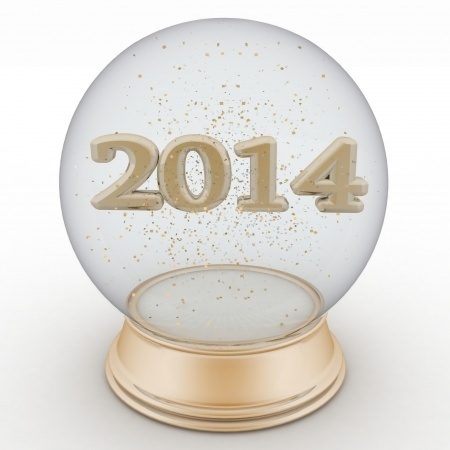 At this time next year, their respective governments could be headed by much more radical figures. Photo credit to Diario de Navarra. If you thought that the Scottish independence referendum was a divisive matter, just wait another three weeks. In substance, the informal ‘consultation’ isn’t incredibly different than the formal vote that Mas (pictured above) and the Catalan regional parliament initially scheduled, given that Spanish prime minister Mariano Rajoy denounced the vote and questioned the ability of Mas or a majority of the Catalan parliament to call a referendum legally. Spain’s constitutional court ruled the referendum unconstitutional at the end of September, and Mas originally declared that the vote would go forward. Juan Carlos did for democracy? Mas’s admission this week that the vote will be informal and non-binding reduces many of the tensions with Madrid, though the original vote wasn’t entirely binding, either. But his announcement may dampen his credibility with pro-independence Catalans (critics took to Twitter to declare it was ‘game over’ for Mas) and force the third regional election in four years. Do you want Catalonia to be a state? If so, do you want Catalonia to be an independent state? 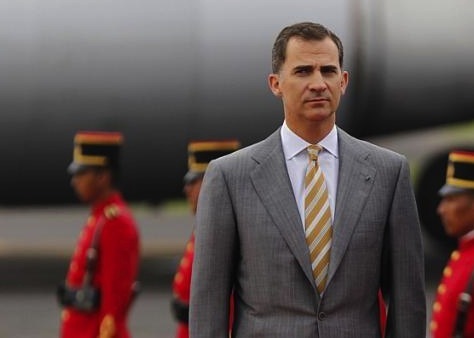 He’s a disarmingly handsome economics professor, and he’s the first major Spanish party leader who grew up chiefly in the post-Franco era and in the era of Spanish democracy. But Pedro Sánchez, who leapfrogged the more well-known Eduardo Madina to become the leader of Spain’s Partido Socialista Obrero Español (PSOE, Spanish Socialist Workers’ Party) earlier this month, and who will assume the leadership later this week, will have his work cut out for him before elections that will take place within the next 17 months, with the party’s traditional voting base increasingly supporting both new and established alternatives on the Spanish left. Sánchez (pictured above), just 42 years old, has only been a member of the Congreso de los Diputados (Congress of Deputies), the lower house of the Spanish parliament, the Cortes Generales, from 2009 to 2011 and since January 2013, representing Madrid, where he served as a city councillor for the preceding five years. 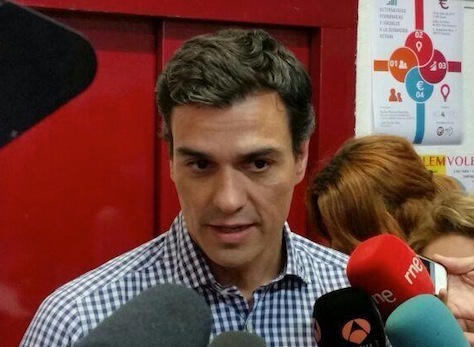 Sánchez won the PSOE’s first direct contest to elect the party’s general secretary in a three-way race, with 48.7% of all votes against just 36.1% for Madina and 15.1% for the more left-wing José Antonio Pérez Tapias. Though Madina, at age 38, is even younger than Sánchez, he’s been a member of the Congress of Deputies since 2004 and the secretary-general of the PSOE’s congressional caucus since 2009. A Basque federalist, he was perceived as the frontrunner in the race, especially after taking a republican stand in the aftermath of Juan Carlos I’s abdication from the throne. But the favorite to lead the PSOE, Andalusia’s 39-year-old regional president, Susana Díaz, endorsed Sánchez instead, as did many former officials from the administration of former prime minister José Luis Rodríguez Zapatero, including former public works and transportation minister José Blanco. That effectively lifted the more unknown Sánchez, who holds a doctorate in economics, above Madina, who once lost part of his left leg in a Basque nationalist bomb blast. On his election, Sánchez declared the ‘beginning of the end of Rajoy,’ challenging the unpopular center-right government of prime minister Mariano Rajoy, which has presided over the worst of Spain’s recent economic crisis. 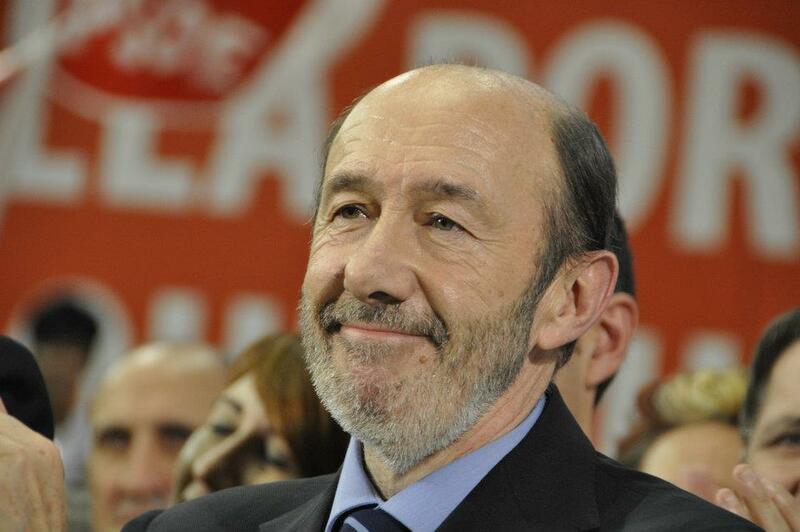 The European parliamentary elections have claimed their first national leader in Alfredo Pérez Rubalcaba, the general secretary of the Partido Socialista Obrero Español (PSOE, Spanish Socialist Workers’ Party), Spain’s traditional center-left party. 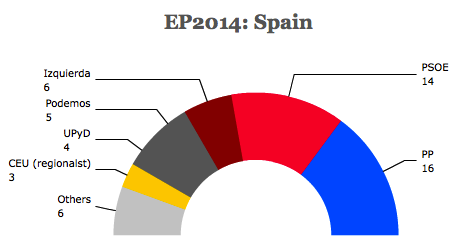 In Sunday’s elections, Spanish voters elected 54 members of the European Parliament. The ruling Partido Popular (the PP, or the People’s Party) of prime minister Mariano Rajoy won the largest share of the vote, around 26%, and the largest number of seats, 16. The PSOE placed second with just 23% and 14 seats — that’s a loss of nine seats in the European Parliament. “We have not managed to regain the trust of the citizens,” Mr Rubalcaba told a press conference in Madrid on Monday, adding that he would not stand for re-election at an extraordinary party conference in July. “We have to take political responsibility for the bad results, and this decision is absolutely mine,” he added. There’s no guarantee that the next PSOE leader will be able to unite the Spanish left, which has fractured in the face of the economic crisis in the past five years. The PSOE’s performance was hardly much worse than Rajoy’s party, which lost eight seats. Taken together, the two major Spanish parties won around 49% of the vote. That’s down from nearly 84% in the 2008 Spanish general election, 80% in the previous 2009 European elections and 73% in the 2011 general election. It’s not like Spanish prime minister Mariano Rajoy didn’t have any warning. 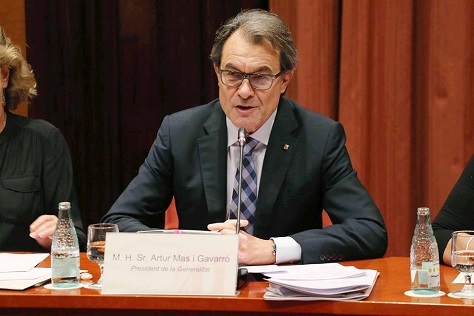 Catalan regional president Artur Mas called early regional elections for November 2012 for the express purpose of winning a mandate behind the call for greater autonomy and/or independence for Catalunya. That didn’t work out so incredibly well for Mas and his autonomist center-right Convergència i Unió (CiU, Convergence and Union), which lost 12 seats in the 135-member Catalan parliament, and was forced to form a unity government with the pro-independence, leftist Esquerra Republicana de Catalunya (ERC, Republican Left of Catalunya). Nonetheless, the election largely ratified the strength of the Catalan separatists, who control 87 seats to just 48 for Catalunya’s federalist parties. Three months ago, on September 11 — upon the celebration of Catalan national day — nearly 400,000 Catalan citizens formed a human chain stretching from the Pyrenees to the coast to emphasize just how fervently they support their right to self-determination. Rajoy, much to his discredit, has ignored those Catalans, and Mas’s government has now set November 9, 2014 as the date for a referendum on Catalan independence — with or without the Spanish federal government’s blessing — after a vote last Thursday in the Catalan parliament that enjoyed the universal support of Mas’s Convergence and Union, the Republic Left and the Iniciativa per Catalunya Verds (ICV, Initiative for Catalonia Greens). Rajoy (pictured above) and his justice minister Alberto Ruiz-Gallardón (pictured below) have made clear that not only is a referendum unacceptable under the Spanish constitution, but that they won’t be coerced into negotiating with Mas over devolving greater power (and funds) back to Catalunya, one of the wealthiest regions in Spain. With over 7.5 million people, the region account for one-fifth of Spain’s economic output. If the vote actually goes ahead next November (and there’s some reason to believe that Mas is bluffing), it could constitute the most severe constitutional crisis since Spain’s return to democracy in the late 1970s. To some degree, it’s easy to sympathize with Rajoy. Though he took office just over two years ago when the center-right Partido Popular (the PP, or the People’s Party) ousted the center-left government headed by José Luis Zapatero and the Partido Socialista Obrero Español (PSOE, Spanish Socialist Worker’s Party) in November 2011, Rajoy’s popularity has plummeted as he’s pushed Spain through higher taxes and budget cuts. That fiscal adjustment is plausibly both the cause and effect of a cycle of economic depression that’s left Spain reeling, including an unemployment rate of 26.6% that may be peaking only after five years of GDP contraction. Spanish finances remain in tatters, despite the budgetary efforts of both the Zapatero and Rajoy governments, and Rajoy simply can’t afford to send more euros to Barcelona. It’s not difficult to see the slippery slope that would begin once Rajoy starts negotiating with Rajoy over Spanish federalism. An equally pro-autonomy regional government in Euskadi (Basque Country), which is also wealthier than the Spanish average, will be sure to follow with their own demands. Other regions, like Galicia and Andalusia, the latter one of Europe’s most economically forlorn, might also make demands for stimulus. It’s equally easy to see the naked political game that Mas is playing. You need only look to the way that the referendum will be structured — Catalans will first be asked, ‘Do you want Catalonia to be a state?’ Those who agree with the first question will subsequently be asked, ‘Do you want Catalonia to be an independent state?’ The vote will be an easy way for Catalans to register their disapproval with Madrid without taking the kind of steps that could truly rupture Catalunya from Spain and that could leave Catalunya as an independent country outside the European Union (if only temporarily). Mas is clearly using the referendum as a game to strengthen his hand vis-à-vis negotiations with Rajoy and, perhaps, to maximize his own standing within the Catalan electorate. 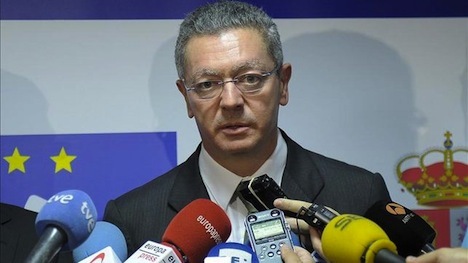 Some relatively moderate voices within the CiU coalition have even said that the referendum should only be held if it’s ultimately deemed ‘legal’ by Madrid. The shell game of posing two questions to determine whether Catalunya should be a state or an independent state conveniently blurs the line of independence — it’s such a cynical ploy that it’s hard to take Mas seriously as a statesman, despite the legitimate sentiment of millions of pro-independence Catalans. Unwilling to wait until 2016 or later for Catalan independence, regional political leaders organized a protest today — on September 11, the Catalan national day — in the form of a human chain that stretched from the French Pyrenees to the Mediterranean coast. They did so as more of Catalunya’s 7.5 million citizens favor independence from Spain, with Catalan president Artur Mas still locked in a battle with Spanish prime minister Mariano Rajoy over federalism and over the issue of whether Catalunya can unilaterally call a referendum to determine its future. ‘La Via Catalana’ — which drew over 500,000 people today — highlights just how strongly many Catalans feel about independence these days, especially in light of an economic crisis that’s taken a toll on all of Spain. Catalunya, as one of the wealthier regions of Spain, contributes a relatively greater amount to the federal budget and receives comparatively less back from the federal government in return. Ultimately, Catalans resent sending revenue to poorer regions of Spain in the same way that Germans resent sending revenue to bail out Greece and other poorer countries in the European periphery. A recent survey shows that 52% of Catalans prefer independence to just 24% who favor remaining part of Spain. We also seek no harm to Spain. We are bound together by geography, history and our people, as more than 40 percent of Catalonia’s population came from other parts of Spain or has close family ties. We want to be Spain’s brother, as equal partners. It goes beyond money or cultural differences. We seek the right to have more control over our economy, our politics, our social services. The best way to solve any problem is to remove its cause. We seek the freedom to vote. Every individual has a right to expect this from his government, while also sharing equally in the benefits. In Europe conflicts are resolved democratically, and that is all we ask. Mas pointed to the examples of Canada, where the federal government worked with Québec to hold two independence referenda in the past three decades, and to the United Kingdom, where prime minister David Cameron and Scottish first minister Alex Salmond have agreed to the terms of a September 2014 referendum on Scottish independence. Last week, Mas hinted that he would be willing to back down from his demand of a 2014 referendum, indicating that a vote in 2016 would be largely acceptable. Mas is still requesting Madrid’s approval to hold a status referendum, but Rajoy, the leader of the center-right Partido Popular (the PP, or the People’s Party) unequivocally opposes Catalan independence and has warned Mas that any referendum held without Madrid’s consent is a violation of the Spanish constitution. But as popular support for Catalan independence rises to even higher levels, it’s becoming increasingly difficult for Rajoy to refuse the opportunity for a clear vote — even Cameron has gently nudged Mas toward agreeing to a referendum. Complicating the matter is the fact that many Catalans now believe they have the right to hold a vote in 2014 no matter what Rajoy says — and not in 2016 or some future date. The ‘referendum now’ camp includes the pro-independence, leftist Esquerra Republicana de Catalunya (ERC, Republican Left of Catalunya) as well as many members of Mas’s own autonomist center-right party, Convergència i Unió (CiU, Convergence and Union). Artur Mas, the president of Catalunya, played the sovereignty card in calling early elections on November 25 and, thereupon, campaigned hard for Catalan sovereignty and against the federal Spanish government — it felt like, at times, he was running more against Spanish prime minister Mariano Rajoy than against any particular regional adversary. His reward? Mas’s center-right party, Convergència i Unió (CiU, Convergence and Union), lost 12 seats. That’s not the whole story, of course — sovereigntist parties hold an overwhelming majority with 87 seats in the 135-member Catalan parliament (the Parlament de Catalunya). Catalan voters found a way to express their discontent with the austerity measures of Rajoy’s federal government and Mas’s regional government by shifting support to the more leftist, pro-independence Esquerra Republicana de Catalunya (ERC, Republican Left of Catalunya). Furthermore, it’s not been an absolutely disastrous six weeks for Mas — the ERC truculently joined a governing coalition with the CiU, thereby stabilizing Mas’s government. Just last week, the CiU and the ERC agreed upon a framework to push a vote for Catalan independence sometime in 2014, with or without the federal Spanish government’s acquiescence, setting him on a collision course with not only Mas, but much of the federal Spanish government and probably a majority of the other Spanish regions. 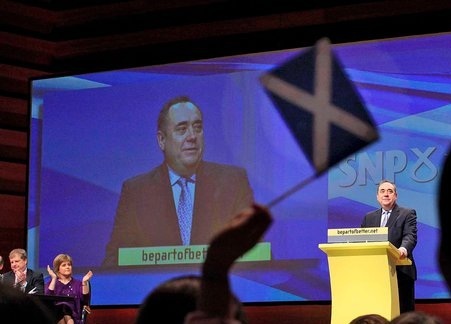 Meanwhile, in Scotland, the Scottish National Party, headed by first minister Alex Salmond (pictured above) has taken a vastly different course — United Kingdom prime minister David Cameron has agreed to the 2014 independence referendum in Scotland, and polls show independence trailing the status quo by about a 50% to 32% margin there. 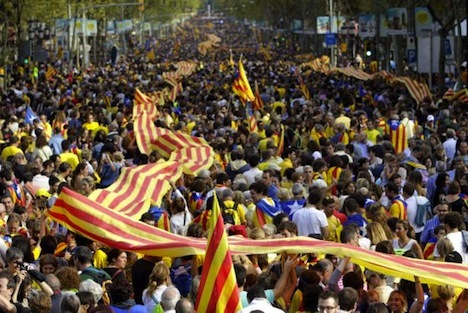 Unlike in Catalunya, the Scottish aren’t coming out in waves of thousands in protest for independence, and despite the unpopularity of former Conservative UK prime minister Margaret Thatcher’s implementation of the poll tax in Scotland, the Scots can’t point to systemic — and recent — violations of civil liberties like the Catalans can, namely the suppression of Catalan language and culture under the regime of fascist Spanish strongman Francisco Franco from 1937 to 1975. Catalan independence would likely be a greater disruption to Spain than Scottish independence would be to the United Kingdom — by the numbers at least. 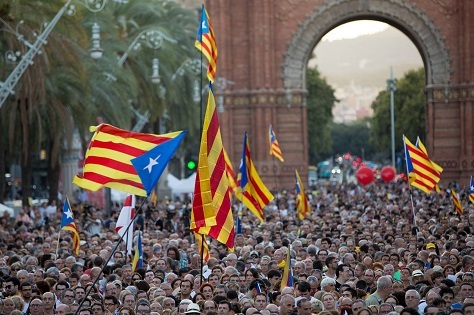 With 7.5 million people, Catalunya comprises nearly 16% of the Spanish population. Although Scotland comprises nearly a third of the United Kingdom by area, its population of 5.3 million people is just a little under 8.5% of the total UK population. So what can the Catalan Sturm und Drang (or, tempesta i estrès, perhaps?) of the past few months, including the November regional elections, teach Scotland as it prepares for its own 2014 referendum? It’s not exactly accurate to say that Spanish prime minister Mariano Rajoy has ‘won’ in the aftermath of three regional elections in the past two months in Galicia, Euskadi (i.e., the Basque Country) and Catalunya. But it’s fair to say that, compared to the worst-case result in each region, Rajoy’s government is likely relieved at the results of each of the three elections, especially last weekend’s Catalan elections, which threatened not only to undermine Rajoy’s federal authority, but to undermine the stability of Spain as a nation-state. 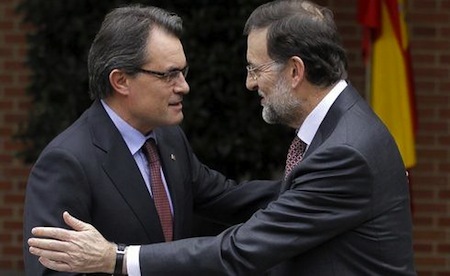 Rajoy (pictured above, right, with Catalan president Artur Mas) has had an incredibly difficult first year since taking office in December 2011 — he’s continued Spanish austerity policies in the face of continued recession and amid the highest unemployment within the eurozone (over 25%). With Spanish voters disillusioned about the economy and with Catalan voters, in particular, agitating for greater autonomy — if not full independence from Spain’s federal union — Rajoy and his center-right Partido Popular (the PP, or the People’s Party), together with the PP’s various local, regional iterations, were playing defense, at best, in each region. In each election, however, there are reasons for Rajoy to take heart. It’s obvious that the autumn’s regional elections could have been much worse: Rajoy’s party could have lost power in Galicia, the former radical leftist ETA sympathizers could have won control of the Basque government, and an outright majority win by Mas and the CiU in Catalunya would have likely caused an immediate political and, indeed, constitutional crisis — and, given the bond market’s jitters, likely a financial crisis as well.